some fresh inspiration for ways to decorate your home. 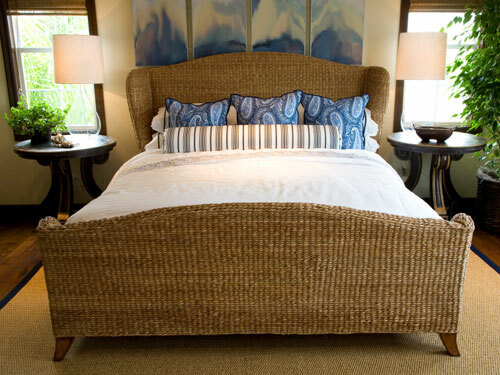 A sisal rug helps anchor the oversized wicker sleigh bed in this bedroom. Inspired by natural elements, the ficus tree is the perfect counterpoint to the ocean inspired modern art above the bed. Note Simple white bedding looks great with bold, colorful accent pillows.